Whirly Willis is the loopy cousin of the family, catching the eye with his curly filament. He has that same tear-drop shape as Willis, just with a bit of extra elegance that makes him fit for any room in the house. With an estimated lifetime of 15,000 hours, this gent is a keeper. 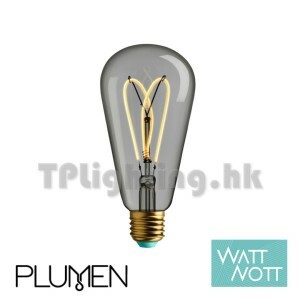 He’s a classic bulb given a Plumen twist. 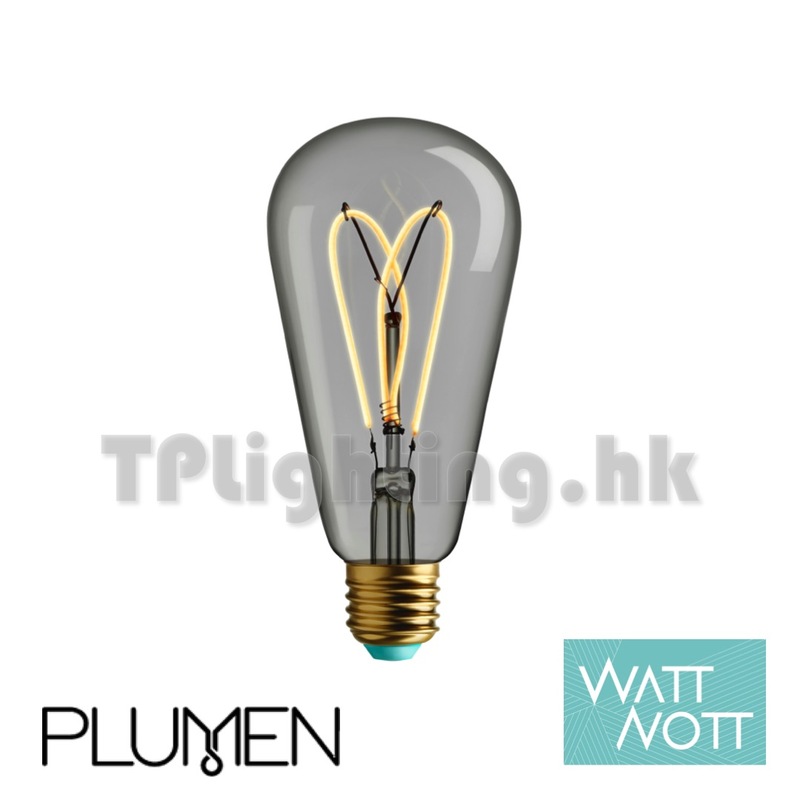 The WattNott insignia and turquoise tip shows he’s part of the family, with his curly filament giving him some extra character. 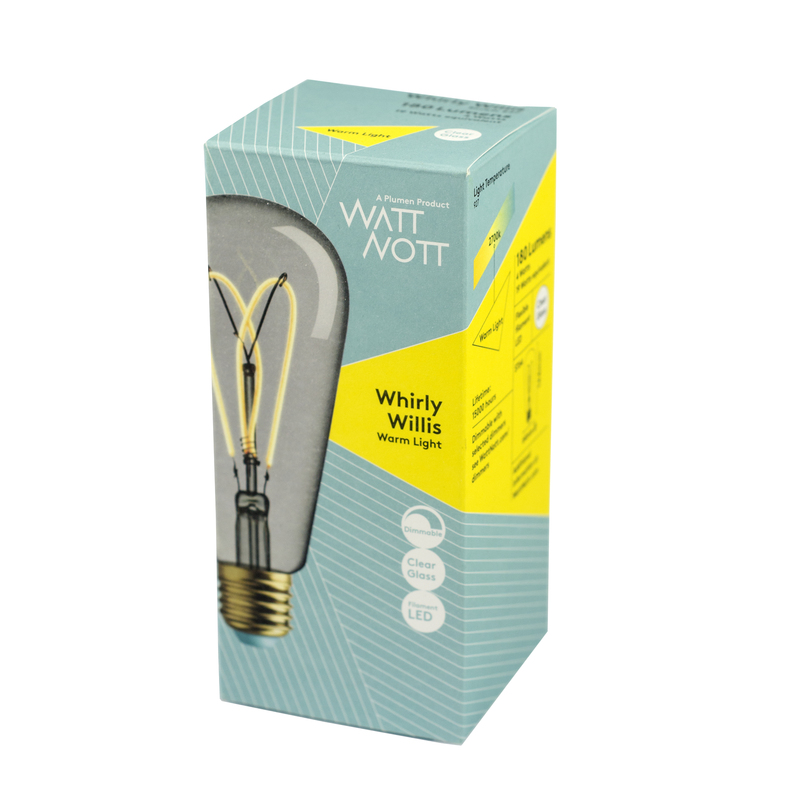 Whirly Willis comes in two varieties: a traditional clear glass that gives off a warm light or a gold tinted glass which provides a super warm glow similar to candlelight. Fitting: Screw E27 available now, Screw E26 available from Spring 2017. 編號: 2914. 類別： E27 LED 大縲絲頭.